The 3k3y™ allows the emulation of the Blu-ray drive of the PS3™ console and allows the reading of your backups from any USB device (external USB hard drive for exemple). 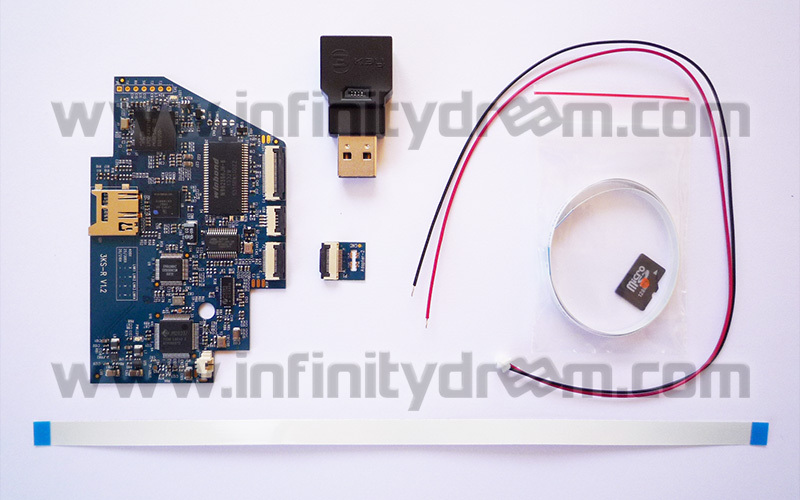 Its motherboard fits perfectly inside all PS3 Slim and Ultra Slim and don't need manual drive key extraction to work. Compatible with all consoles regardless of the firmware (OFW and CFW up to 4.55 supported), this kit supports most file systems (NTFS, EXT2/3/4, Mac OS X Extended) and ISO format playback. NB : Infinitydream is official distributor of this product. Price information : Our prices are displayed including taxes for purchase from France and other EEC countries. For purchases from abroad (outside the EEC), prices are automatically reduced excluding taxes as well as for professionals of the EEC with a valid VAT number. Delivery : Product in stock (25xx/30xx/4xxx version). -> Same day shipping for orders placed before 15:30 (excluding weekends and holidays).